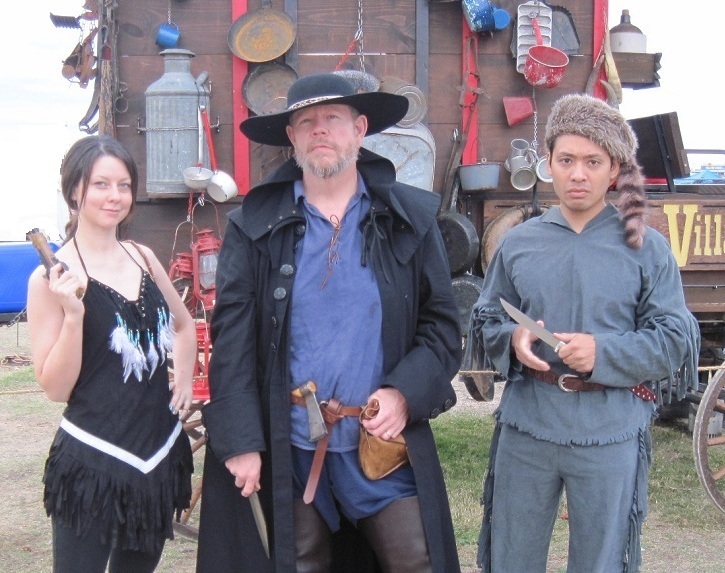 "In this bold drama of exploration and expansion many types of American frontiersmen took part; but beyond the narrow fringe of border settlements in the Mississippi and Missouri valleys the fur trader played the leading role. His stage was an empire. His operations extended from the British possessions on the north to the dry tablelands of the Spanish-Mexican provinces below the Rio Grande, and from the Great Plains and the Rocky Mountains on the east to the end of the continent on the west. "The fur trader, trapper, beaver-hunter, or mountain man was a peculiar product of the American frontier. He belonged to a calling that had no counterpart. He started from frontiers at which more cautious pioneers were glad to stop. He was an adventurer to whom danger became a daily commonplace, an explorer who took tribute of the wilderness and wandered through the reaches of the outer West with all the freedom of the lonely wind. He was the predecessor of the missionary, the gold-seeker, the cattle-man, the settler, and all kindred pioneers. The feet of a nation walked his half-obliterated trails, the course of empire followed his solitary pathways to the western sea." "The Mountain Men, as the fur traders and trappers who penetrated the Rocky Mountains and explored the American Far West in the first half of the nineteenth century are commonly called, were the counterparts of the astronauts of the second half of the twentieth century. Strange as it may seem to modern readers, the 'western wilderness' of that day was as unfamiliar to the average person as the outer space that is being explored today. In their own day, the adventurous wayfaring of the Mountain Men was noted in contemporary newspapers; they attracted the gifted pen of Washington Irving, and one of their number, Kit Carson, became a national hero and a legend in his own time." "The mountain men were a tough race, as many selective breeds of Americans have had to be; their courage, skill, and mastery of the conditions of their chosen life were absolute or they would not have been here. Nor would they have been here if they had not responded to the loveliness of the country and found in their way of life something precious beyond safety, gain, comfort, and family life. Besides the specific attributes of that way of life and its country, it is fair to point out an extremity, perhaps the maximum, of American individualism and gusto. Moreover, solitude had given them a surpassing gift of friendship and simple survival proved the sharpness of their wits." "Between 1825 and 1840, the span that most historians define as the era of the mountain men, there were likely no more than three thousand men who pursued this trade. Most of them where [SIC] relatively young, in their late teens, twenties, or thirties, and hailed from Missouri, Kentucky, Virginia, and Canada, while a smaller number came from other areas throughout the United States. Mountain men were overwhelmingly white, but there were also some Indians, black men, and métis, the latter of which were descendants of European and French Canadian fathers and Indian mothers -- métis being the French word for a person of mixed blood. Often bred away from cities and towns, in relatively unsettled areas where homsteaders and farmers labored to eke out a subsistence living, mountain men were usually quite familiar with the perils and promise of life on the edge of the wild. Forced to confront a lawless world, where violence lurked at every bend, they were skilled in the use of guns and horses. And because their success depended almost entirely on their own initiative, they were exceedingly self-reliant and resourceful." "The role of the mountain man in our westward expansion was a brief one; his era began with the Lewis and Clark Expedition, 1803-6, and ended rather abruptly with the beginnings of westward emigration in the early 1840's. There was no repeat performance. As a type, the mountain man was distinct, yet one cannot say that either his possessions or his methods were unique. Everything that he brought into the West and much of his modus operandi were inherited from his predecessors in the Indian trade. Almost everything that transpired on the Yellowstone or on the Green rivers during the early decades of the nineteenth century was largely an adaptation of trapper-trader procedures on the Cumberland, on the upper Ohio, or on the Maumee during the 1700's." "The trapper's costume, which nearly every writer who visited the mountains took pains to describe in considerable detail, was more distinctive than that of any other American frontiersman. 'His dress and appearance are equally singular,' wrote Rufus Sage, a merchant trapper of unusual descriptive ability. His skin, from constant exposure, assumes a hue almost as dark as that of the Aborigine, and his features and physical structure attain a rough and hardy cast. His hair, through inattention, becomes long, coarse, and bushy, and loosely dangles upon his shoulders. His head is surmounted by a low crowned wool-hat, or a rude substitute of his own manufacture. his clothes are of buckskin, gaily fringed at the seams with strings of the same material, cut and made in a fashion peculiar to himself and associates. The deer and buffalo furnish him the required covering for his feet which he fabricates at the impulse of want. His waist is encircled with a belt of leather, holding encased his butcher-knife and pistols -- while from his neck is suspended a bullet-pouch securely fastened to the belt in front, and beneath the right arm hangs a powder-horn traversely from his shoulder, behind which, upon the strap attached to it, are affixed his bullet-mould, ball-screw, wiper, awl, &c. With a gun-stick made of some hard wood, and a good rifle placed in his hands, carrying from thirty-five balls to the pound, the reader will have before him a correct likeness of a genuine mountaineer when fully equipped. This costume prevails not only in the mountains proper, but also in the less settled portions of Oregon and California. The mountaineer is his own manufacturer, tailor, shoemaker, and butcher -- and, fully accoutred and supplied with ammunition in good game country, he can always feed and clothe himself and enjoy all the comforts his situation affords. In dangerous country, trappers sometimes wore a deerskin overshirt that reached from chin to thighs. Soaked in water and wrung out, the dried shirt became a veritable buckskin coat of mail that only the hardest-driven Indian arrow would penetrate." "When the trapper first ventured west, he brought with him clothes made of wool or cotton, and after those wore out he exchanged them for typical buckskin garments, which were made not only from male deer but also from buffalo, elk, otters, and antelope. Even when buckskin was the mountain man's main covering, he would often supplement it with cloth undershirts or coats purchased at the rendezvous. A crude wool or leather hat adorned the mountain man's head, leather moccasins covered his feet, and a leather belt cinched around his waist held his knife and pistols." "[T]he mountain man preferred wool clothing when he could get it but probably he had little that was still serviceable when winter came. If he had worn skin breeches, he had stagged them at the knees and sewn on legs of blanketing which would not shrink intolerably when they dried. But now he or his wife or his customs tailor would have to make entire outfits, moccasins, leggings, breeches, shirts, caps, mittens, robes. Many skins, dressed free of hair, were used regularly: doe, buck, antelope, bighorn, elk, even rabbit skin. Each had its specific uses, advantages, and drawbacks. Robes, either with or without the hair, were made from many of the same skins and from such others as beaver (very expensive, of course), wolf, or even rockchuck. Buffalo hides had innumerable uses. The hides obtained in the summer and fall hunts were tanned for tipis, bags, the carryalls called parfleches, containers of many kinds, rawhide in all its forms." "In the adoption of his handy blade, the mountain man differed very little from his predecessors anywhere on the raw margins of civilization. 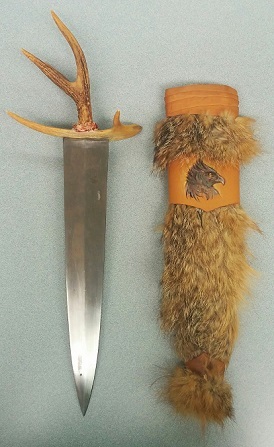 Surprisingly, the design of the hunter's knife in 1800 often closely approximated the style of knives used throughout the greater part of Europe one thousand years B.C. The materials that prehistoric European knives were made of, usually bronze, were not the same as the iron knives of the first American frontiersmen, but the over-all style, proportions, and 'balance' were very similar." "The beaver trapper roaming the wilderness was never far from his rifle. When he slept, the long gun was beside him, loaded and ready. When he set his traps or cooked his food, the rifle was within reach. When he traveled, 'Old Betsy' rode much of the time across his saddle where she could be brought to instant action. "There was pride in what the gun would do. 'Old Betsy shoots center, she does, and knows fat cow from bull.' The trapper expected his rifle to drop a buffalo at two to three hundred yards, stop a charging grizzly, and settle all conflict with Sioux, Crow, or Blackfoot --- in the trapper's favor." "Except for running buffalo, a form of sport for which some hunters preferred the fusil or short-barreled shotgun especially designed for the Indian trade, the mountain men employed a forty- to sixty-caliber 'plains rifle,' the barrel of which ranged in length from thirty to thirty-six inches. Such a gun fired a long, heavy lead bullet and used two to four times as much powder as the famous Kentucky squirrel rifle of Daniel Boone's day. ... The plains rifle was a powerful gun, designed under the stress of necessity to deal successfully with buffalo, elk, mounted Indians, and grizzly bears. Its effective range was well over two hundred yards." "Shotguns, especially double-barrels, were also common on the western frontier. The fur trapper ordinarily made a point of wanting nothing to do with a smoothbore. But by the 1830s the shotgun was becoming popular enough that St. Louis manufacturers, including the famous Hawken brothers, were making double-barreled shotguns for the western trade. The smoothbore had proved that it had at least two jobs at which it excelled. Loaded with shot or with a single lead ball plus a number of buckshot, it became a potent weapon for night guard duty around the trappers' camps. If the light was so poor the guard could not be sure of his mark, he could, if armed with the well-loaded smoothbore, fire in the general direction of the approaching enemy and stand a fair chance of at least disabling him. In addition, the shotgun was what was needed for taking grouse, waterfowl, turkeys, and other small game when buffalo, elk, and other large animals were unavailable." "In addition to his rifle, the trapper usually carried a pistol or two to provide back-up firepower for his single-shot rifle. Ideally, the trapper's handguns accommodated the same size lead balls he used in his rifle so he could cast a single size for both. In time, the single-shot flintlock pistols were replaced by multishot percussion systems, first the pepperbox with its revolving barrels, then the true revolvers, but these came late in the fur-trapping period." "The handgun, darling of every American frontiersman, the weapon of the last-ditch stand, and the sure resort of reckless men everywhere during five hundred years of gun-toting, comes in for remarkably little notice in the written or published record of the American fur trade. It should not be concluded, however, that the single-short pistol and later the multishot pistol were the least important of the firearms used in the days of the fur trade. As trade items, pistols did not figure importantly, but as personal side arms the trader and trapper found them indispensable, and their ubiquitousness in the fur fields -- at least as far back as the mid-eighteenth century -- can be proved." "His bullet pouch, powder horn, and bullet-making tools were thrown over his shoulder, along with the felicitously named 'possibles bag,' which held, among other items, flints, pipes, tobacco, razors, and a container of bear-grease pomade to slick back his hair. 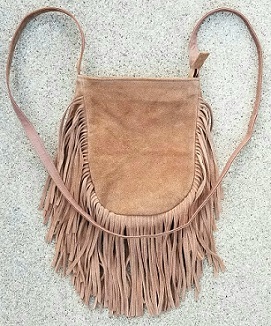 Man mountain men also owned a large pouch similar to a present-day expandable file or suitcase, called a parfleche, which was made of rawhide and could carry dried meat and extra clothes and moccasins." "[T]he robes used for winter wear, for bedclothes and bed covering, and for winter moccasins, were made of hides taken in the winter, when the hair was thickest. Moccasins were also made of many other skins, for many purposes, in many patterns. For winter they might be fur-lined like those just mentioned, or, if not, might be stuffed with loose hair or even leaves or sagebrush bark. ... For both sexes the elaborately quilted or beaded moccasins displayed by museums were ceremonial or Sunday-beset shoes rather than daily wear. The ordinary work shoe was made in quantity, for it was not a durable article. Trappers, who preferred to buy them but frequently had to make their own, did a large traffic in them with the squaws at a few cents per pair. Those of the Plains tribes usually had parfleche soles, for the unsoled ones of the forest tribes would not turn cactus."